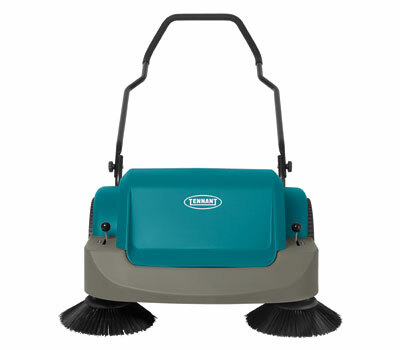 Clean your floors in a single pass with TwinMax Sweeping Technology. 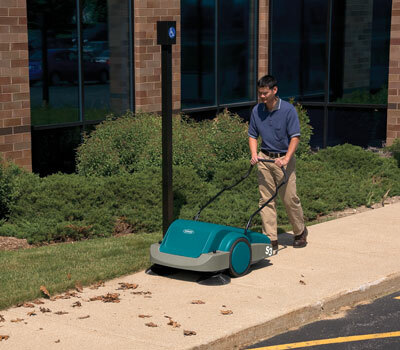 The twin, counter-rotating brushes combine over-throw and direct sweeping principles to capture large and small debris with one sweeper. 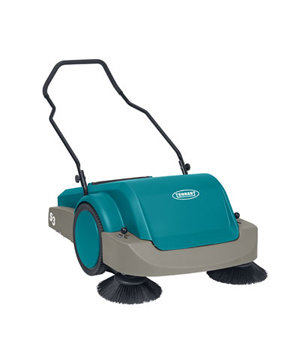 TwinMax technology is designed for sweeping multiple floor surfaces in both indoor and outdoor environments. Dual side brushes increase the sweeping path to 34 in / 870 mm, and a large 1.8 ft3 / 50 L hopper saves you trips to the skip, which gives you more time for cleaning. 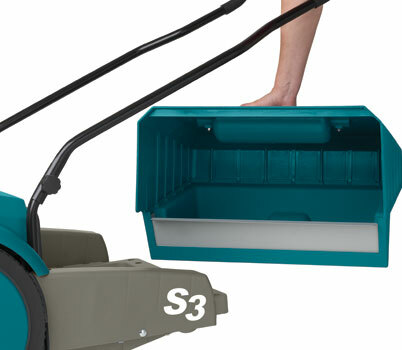 The S3’s flexible design is well suited for indoor and outdoor cleaning. 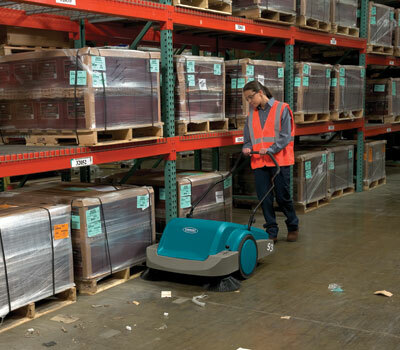 Manual operation makes it the perfect option for noise-sensitive environments. 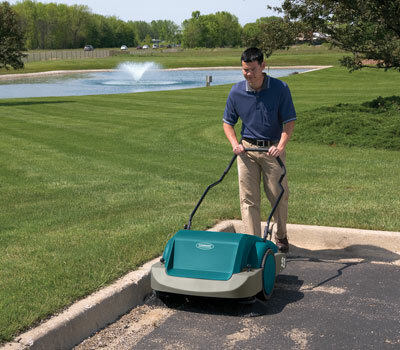 Major components field-proven in commercial applications for 10 years. Wrapped front bumper design helps prevent high-impact damage to body and side brushes.